In honor of the new custom Double Edge Safety Razor from Baxter of California, the oldest grooming brand on the market today, AreYouBeing.com has put together a list of our favorite shaving tools. These are based on quality, function and design. So regardless of your budget or style preference, any one of these tools can help you achieve the perfect shave each and every time. Based on a design first introduced in the late 18th century, this razor is almost identical to the one my grandfather used. For guys who were too afraid to use a straight razor, it was a huge innovation at the time, making shaving at home much safer. Still, if you’re a Gillette guy (and we love this brand), using this razor may take you out of your comfort zone. Don’t worry though. 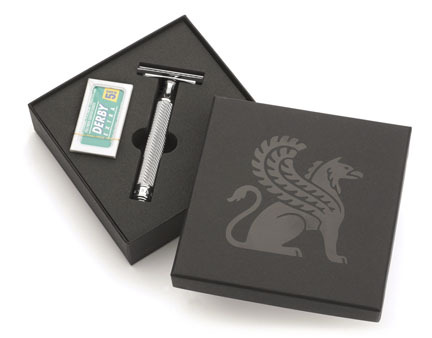 Each razor – with knurling detailing on the handle to prevent slipping – comes packaged in a matte black gift box, which includes an instructional card and a pack of starter blades. All that for just $60. Whether you’re a world traveler, or just want people to think you are, the Madrid Razor from HOMMAGE is a must-have tool. Perfect for the guy with limited counter space in the bathroom, the Madrid Razor – with its gun metal-hued stainless steel finish and ergonomic grip handle – sits in an upright position. Why is this important? For starters, it makes a strong statement (“I’m a man, I shave, and I’m not ashamed if anyone knows that I take a little extra time for myself.”), and the upright position allows the blade to air-dry, preventing corrosion, which helps maintain the longevity of your razor’s edge. At $225, the Madrid Razor is definitely an investment, but one you can pass down to your son or nephew one day. I’ve been in the grooming arena for a decade now, and even through working with The Art of Shaving on past grooming articles, I’ve never been brave enough to use a straight razor. However, it’s one of the best tools for getting the closest shave. 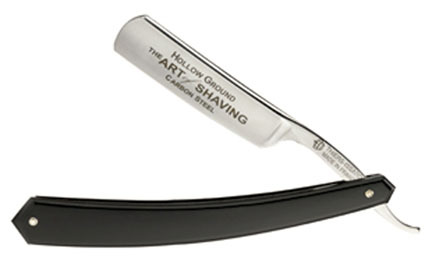 If you’re feeling bold, checkout one of the many straight razors from the guys who made shaving cool again. Handcrafted by Thiers-Issard, a prestigious French razor maker since 1884, the carbon steel blade (Starting at $135) is hollow ground to deliver a more comfortable shave and provide the sharpest edge. Not sure how to use it though? Upon purchase of a Straight Razor, The Art of Shaving will provide you with a complimentary guide on how to use and maintain the razor at home. You can even go into one of the many shops across the country for a personal tutorial, so soon enough you’ll be a shaving artist in your own right. Disclaimer: All brands mentioned above have provided AreYouBeing.com with product samples in exchange for editorial review. 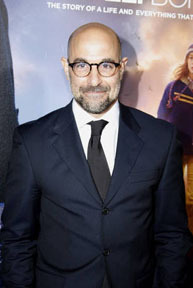 AYB’s Prediction: Two words; Stanley Tucci. 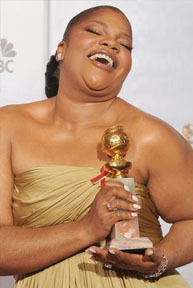 AYB’s Prediction: Sandra may have taken home the Golden Globe for Best Actress in “The Blind Side,” but that was only because she wasn’t up against Meryl Streep in that category. 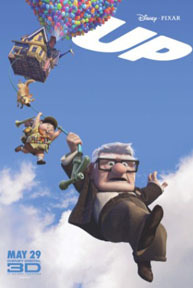 Streep created the perfect recipe in her starring role in “Julie & Julia,” and she will win top honors. 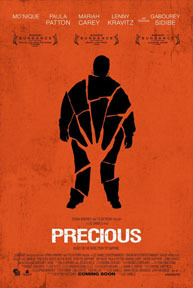 AYB’s Prediction: All of these films are deserving, but “Precious: Based on the Novel ‘Push’ by Sapphire” is going to push aside the competition. 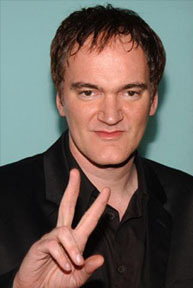 AYB’s Prediction: Quentin Tarantino is revolutionary, and his spin on WWII brought some new life to the genre. 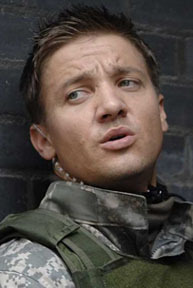 This is his year at the Oscars. 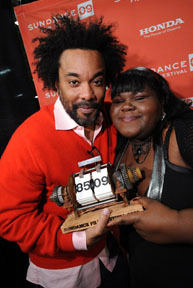 AYB’s Prediction: While all the directors in this category deserve accolades for their film contributions this past year, Lee Daniels will be the one who comes out victorious. 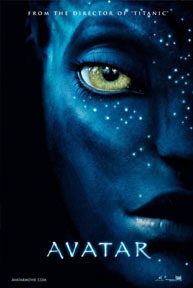 AYB’s Prediction: Though the Academy included 10 nominees in the “Best Motion Picture” category this year, there is no doubt in our minds that James Cameron’s “Avatar” will take home the big award.